Indian American teens are the latest sensations on the American TV. 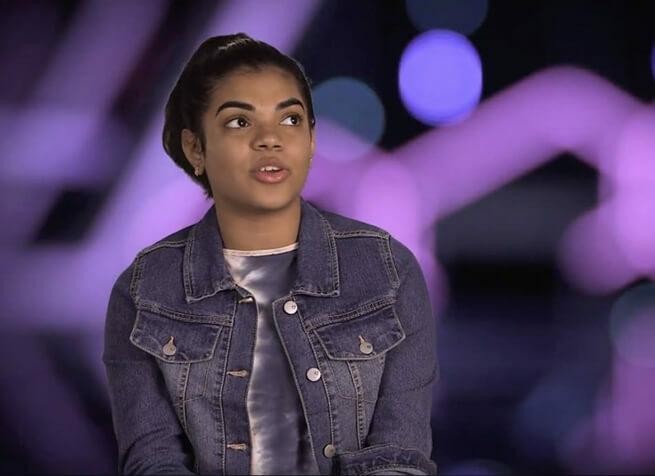 While the nation is tuned to the performance of two Indian American girls – Alyssa Raghunandan and Paravi Das – in the Season 16 of American Idol 2018, 12-year-old Apoorva Panidapu is all set to make her first TV appearance on the NBC show ‘Genius Junior.’ The episode of Neil Patrick Harris’ Genius Junior show featuring Apoorva will be aired on April 22, 2018. Nicknamed ‘Human Calculator,’ Apoorva Panidapu from San Jose, California will showcase her incredible math-solving talent in ‘Genius Junior’ on NBC. The faster-than-calculator speed of solving any difficult math problem in the brain is her unique trait. A 7th grader at California Connections Academy, Apoorva got selected for the NBC show on the strength of her performance in multiple auditions. She made it out of thousands of students from across the United States. Hosted by Neil Patrick Harris, an American actor, singer, writer and comedian, ‘Genius Junior’ debuted on the American television in March 2018. The game show series is a celebration of the talent of the brightest students in America. Each of the ten episodes for the first season will be an hour-long test of the participating students’ intelligence. Twelve teams, each having three students aged 12 and under, will be competing against each other in five increasingly challenging rounds of various complex subjects including quiz, spelling, mathematics and memory. The ‘Genius Junior Grant’ will be given to the winning team. Indian American Apoorva Panidapu’s math IQ is often compared to that of Albert Einstein. Named ‘The Fast and the Curious,’ her team of three incudes a 9-year-old student from Florida who is blessed with photographic memory, and a 12-year-old New Yorker who is brilliant enough to replicate the structure of any building by just looking at it. Californian math whiz Apoorva Panidapu and her teammates can memorize every detail of the US highway just like a robot, solve puzzling math equations and spell out difficult words, without using or depending on any external tool. ‘Human Calculator’ Apoorva Panidapu has been felicitated with the Presidential Volunteer Service Award twice. Equally competent in math and other disciplines, she has won many national, state and regional level competitions in art & craft, speech, creating writing and debate. She made a whopping score of 800 in SAT. She was invited to the John Hopkins Study of Exceptional Talent Program. San Jose-based Apoorva Panidapu is an artist and philanthropist too. She pursues philanthropy through art. She sells her paintings and sketches to raise funds for the welfare of children in Africa. She donates the proceeds from her math tutoring lessons to VT Seva, which works for the kids with visual impairment in India. Interestingly, her artwork has been exhibited at several places including the Virginia Air and Space Center, and the Peninsula Fine Arts Center in Virginia. Last but not the least, Indian American Apoorva Panidapu won the grand prize in NASA Langley Research Center’s Centennial Student Art Contest in 2017. Get ready to watch math whiz Apoorva Panidapu’s unparalleled math-solving talent in Genius Junior this April 22, and watch out this space or subscribe to our free newsletter for upcoming stories of young Indian Americans on Travel Beats, an Indian American community portal by Indian Eagle Travel, a leading travel booking partner of Indians in USA.